Giving Another Car Away Through Operation Automotive! WILLIAMSVILLE, N.Y. – As we head into Christmas, many of us are looking for ways to show our support to the men and women who have served our country. WNYHeroes provides important support programs and services for local veterans every day of the year right here in WNY. Currently, WNYHeroes runs eight programs for veterans AND their families, ranging from direct financial assistance, college scholarships, service dogs to peer to peer support programs and many more for our returning Veterans. Next week, the organization will give yet another vehicle away to a Veteran in need of one, through its program: Operation Automotive. The giveaway will be held at Amton Auto & Truck at 4186 Delaware Ave, Tonawanda, NY 14150 at 10am on December 27, 2017 The organization will also be inviting the Town of Tonawanda Council Members, Police, Paramedics and Kenton Chamber of Commerce. The idea is to also bring awareness to the town of the amazing support they have for our Veterans right in their own backyard. As we have explained before, this is all about giving to our veterans who need our assistance, not only this time of year, but all year round. Through our community supporters and donors, is this program working and becoming so successful. WNYHeroes has been providing vehicles for veterans for a few years now, passing along donated cars and trucks as they come in. Our current partners in this program who truly make this all successful are Amton Auto & Truck, Kendzia Automotive, Veterans Automotive, Corsi Collison and Dunn Tire. Now, building great partnerships with a number of local auto and tire shops, we are making sure that the community continues getting familiar with not just this program, but all of our programs. We spend time, mostly in the evening combing the internet and looking for those people who are looking to sell their vehicles. 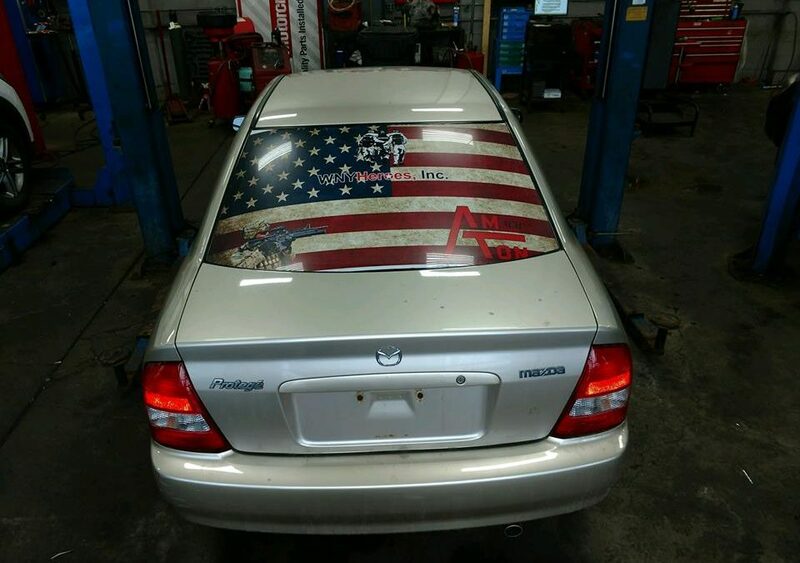 We take the time to educate them of what WNYHeroes, Inc. is doing for our Veterans and in return, they decide to donate their vehicle, rather than selling it. This is about helping our Veterans and nothing more. This is not about egos, territory or who can do more than the next guy. We already know how hard it is for Veterans to ask for assistance. Why make it harder for them? It’s about making them feel like family, keeping them comfortable and feeling loved. Our job is to keep things simple, create partnerships, build trust and in the end, that means helping more families who need us because they trust us. We would like to remind everyone, none of these programs would be made possible if it were not for everyone in WNY, believing in and trusting what we do. It all starts from the individual to the larger corporations that all get behind us and drive the force.